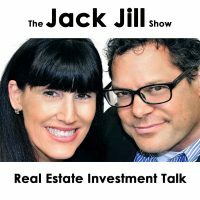 Steven Butala: Today, Jill and I talk about eliminating risk from your real estate deals. I love this topic. Jill DeWit: I do, who doesn’t? Who wants risk in anything? Jill DeWit: I don’t want it. Wait, wait, wait. What else can we eliminate risk in? Quickly, right now. Can we eliminate it in raising children? Steven Butala: This is a great topic. No. Can’t, well maybe. Yeah, there’s some stuff. You have a little bit of control over there, not tons. Jill DeWit: How about marriage risk? Steven Butala: I was thinking about that too. Jill DeWit: How about choosing a degree in college? Think about this. Steven Butala: You have a lot of choices. Steven Butala: People have a lot of choices. Steven Butala: I’ll tell you what though, of all the stuff that we do, this is maybe the least risky. Think about that for a second. Everybody thinks so hard in real estate. Steven Butala: Well the risk for me is not buying it. Jill DeWit: I sleep very well at night. Steven Butala: So here’s just two points … well we know that. We flaunt that. Before we get into it, let’s take a question posted by one of our members. I have so much stuff to say, that’s why. Jill DeWit: I can tell. Steven Butala: One of our members, on our Land Investors … the question posted by one of our members on the Land Investors online community, it’s free. Jill DeWit: That was like a robot. You just sounds like a robot that went through all these sentences really, really fast. Steven Butala: Oh, really? Okay. Jill DeWit: No, no, no. They did good. Steven Butala: ‘Cause I wanna get to the topic, ’cause I like it. Jill DeWit: That’s so good, okay. Micheal asked, “From your experiences, how much would it cost to start this business … ” I have something funny to say about this in just a second. Steven Butala: Yeah, you can answer it first. Steven Butala: That’s fantastic, first of all. Jill DeWit: Hold on. This is how much that we … there’s so many things that we do together, like this show. And there’s things that we go off on our corners and we do differently. Steven Butala: Oh, here it comes. Jill DeWit: So, I actually answered this question live last week. I read this question, you actually produced the video for me and I love you. It didn’t retain it or something, you didn’t really listen to what I was doing. But I read this question live, I even put in a couple things like that. So I’m glad to answer it again, this is an important question. It’s cool. Steven Butala: Keeping in thought with go off in our separate corners, I don’t produce this. Because we have a show producer here, I don’t choose these questions. Jill DeWit: Sometimes you help me out in a pinch, so I didn’t know. So thank you. Steven Butala: Oh, you video answered it? Jill DeWit: I video answered it and put it in our online community. Steven Butala: We’re gonna video answer it again here. Jill DeWit: We are. It’s kind of cool though. No, it’s a great question. Joe Schmidt said, he put in this thing that said, “Joe would probably say 5,000 dollars. But I’d have to say closer to ten.” And so I replied letting Joe know that he’s right. And I have upped it to ten, but also based on Joe’s feedback, Joe said I might even call it 15. Steven Butala: More is better. Jill DeWit: I was complimenting Joe and saying, you know Joe, you’re right. I’m gonna up my numbers because more is better. I want everyone to come into this business with proper expectations, and have enough money to breathe and do this right. Especially, I think his name is Michael, who write the question, he’s taken on a second job. All right, so we already know Micheal’s strapped for time right now. He’s working two jobs to save up to be able to do this. So I love that. And I tell people all the time, we’re not going anywhere. So if you need to take six months even a year, I don’t care. To save up, let’s say, 15,000 dollars. Or if you’re putting away 1,000 bucks a month, that’s a good goal. Putting away 1,000 bucks a month so at the end of the year you have 12,000 dollars. Now you can be like, I know now I have enough money that I’m gonna keep my day job, I can start this flipping land, join the Land Academy group. And I’m gonna be fine, I know I’ve got everything paid for. Steven Butala: Yeah, the thing is we used to say use your money for acquisitions and that’s it. To some degree that’s true, but our group has gotten so big and there’s so many money people in our group now, that if you have a good deal somebody is either gonna buy it from you or partner it with you. From a money standpoint. So five to 15,000 is a good range. We have people who started with this who had no money at all. I mean none. And they’re killing it. Because they got in with the right people in our group and they’re good marketers. Steven Butala: Yeah, they’re scrappy and they’re good marketers. They don’t want to own a property for very long. They wanna get out there and sell it. Jill DeWit: Joe wrote a really good, this is great for everybody to go see if you’re interested. I mean, Joe listed all his expenses and he did a really good job of it. He even put in there … it was under ten. It was just under ten for everything you need for education, all of your data resource fees for the whole year, that was already factored in. So it’s all prepaid, he factored in the cost of doing a 1,500 unit mailer every other month. He built in cushion costs for like recordings and notary fees, all the little things. Maybe making a website. Already the little expenses you need to plan for. Steven Butala: Well here’s the thing, where else can you buy a company or start a company for nine grand? That’s really what this is all about. I had a consultant call recently, and I always ask people, always, well how did you find this? How did you land here? And here’s what the answer was, you guys approached us as if it’s a company. It’s not, you don’t sit at your kitchen table and lick envelopes and send them out and see what happens. Jill DeWit: Right, it’s not a hobby. Steven Butala: Because he wants to leave, he wants to leave his job. He’s getting out of the military, he’s very technical. And he’s like yeah this is what I wanna do. So, that’s what you’re getting for money here, it’s not … I understand everything starts with a budget, me most of all. I understand, but I’m a little tired of this question. Jill DeWit: Oh, I’m sorry. Steven Butala: No, it’s okay. I’m a little tired of this topic I should say, not this question. Jill DeWit: No more of these questions, just kidding. Steven Butala: Why do you guys charge 250 a month? Well, you have to get the data somewhere, and if you got out and do this yourself. If your walking out the streets, [inaudible 00:08:01] anywhere else, we’re licensed providers for all this data, it’s gonna cost you. Just one of them is gonna cost you way more than 250 a month. Probably upwards to 1,000. And we have national coverage. They break there’s up in counties, it’s a big trick, an insurance company trick. So that’s why I get a little frustrated with this. Because there’s such huge value. Steven Butala: Was that rampant? Jill DeWit: No, it was great. It was beautiful. 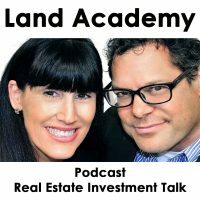 Steven Butala: Today’s topic, eliminating risk from real estate deals. This is the meat of the show. I get excited about this for good reason. Steven Butala: Again, I’m filming a house academy right now. And there’s so much detail that goes into choosing a neighborhood or a zip code. We break it out into zip code first and where to send mail. The very first thing we look at is days in market. We talked about this a little bit on the show yesterday. There’s no dark board in our office, there’s no guessing at any of this. It’s all right down to the last deed, so crystal ball stuff. And it’s incredibly not about the real estate itself. And everybody gets hung up with that, it’s all about the data. So if you analyze a zip code and you find out a few things. Here’s some of the keys that we look at. This is for land in urban areas, also we do this exact same process. If days in market are less than 30, less than a month. If the properties that are available on the MLS, they’re listed on the MLS, month over month and year over year are going down. The inventory completely is continuing to shrink. In fact, sometimes it’s a negative number, the market’s so hot. Now you’re talking. That and you throw on top, and most people’s reaction is well, there’s no sellers in the market like that. All they have to do is call their real estate agent and sell the thing in less than 30 days. We’ve been doing this since the 90s, they don’t want to talk to a real estate agent, they don’t want to clean the garage out. Jill DeWit: They don’t wanna have an open house. Steven Butala: They have some hang up. There’s a million hang ups they could have. Maybe they live out of state or buying multiple properties right now from people who live out of state from where the house is. It was a house where they grew up, they have a mental connection, and their parents are long gone. And they have paid the taxes for as long as you can possibly imagine. Why don’t they just call a real estate agent? I don’t know, maybe she’s embarrassed. Steven Butala: I don’t know? Steven Butala: I didn’t ask her. Steven Butala: Actually, I didn’t even talk to her. Which is even better. So there’s many, many more statistics that you can look at. All this is free by the way, you just need to know where to find this data. So once you start packing into really analyzing a zip code or a census track for urban info lots, you’re gonna find out that … you are going to know what will happen if you buy the property for 20 to 40% less than what you can sell it for immediately. Steven Butala: With like 98% certainty. Plus, yore buying it so cheap, if you have to unload it, you’re still gonna make a little bit of dough. Go ahead. Jill DeWit: Can I talk now or do you need to be raising my hand? Steven Butala: This is video, they didn’t see us. Jill DeWit: Now I can see me going, hello. You are so right here, this is one of the things that shocks me the most that more people haven’t figured out. Jill DeWit: You have all the information, these companies like Red Fin Realtor, these guys are getting so good at this data that they’re capturing, uploading, and sharing for free, or do they even have paid subscriptions? I don’t even know. Jill DeWit: Oh, okay. Realtor. Steven Butala: Why, I’m gonna get to that in a second. Steven Butala: Why do you think they give it away? But go ahead with your point. Jill DeWit: Hold please. So, so much good information for free, why do not more people take advantage of that? And like you just said, it’s too easy to really sit down and go, oh, my gosh. The last 15 houses in this subdivision sold in less than a day. Why would you not pay attention to that? Hit that area. Its not cheating, everyone. Maybe that’s part of it, maybe they don’t even realize it’s there, number one. Or number two they feel like, oh it’s insider information. No, it not. It’s all public knowledge, use it. Steven Butala: You know, to answer that question. You know that show, I think we saw it together. With Jerry Seinfield, he’s driving around, Comedians and Cars or something like that. Jill DeWit: Getting coffee. Yeah. So to answer your question Joe, that’s how I am. And I know you are too. I look at stuff, and I don’t just see it for what is at face value. I look at it deeper to find out what it’s all about. Steven Butala: Yeah, what’s in there. What makes it work? Why is the market so hot? Why is this market over here not so hot? What’s the tax rate? What’s the implication? Really get your hand around it, analyze the whole thing and make some decisions about it. That’s your answer. I think this world is packed full of people, none of them are in our group by the way. Packed full of people who are just walking around looking at the sky. They’re not questioning anything. They’re not interested, they’re not interesting people and they’re not interested in anything. Jill DeWit: Isn’t that funny? I see a lot of people too, that they walk around going, well I guess that’s what it costs. Steven Butala: Yeah, I guess that’s what it costs. Perfect. Jill DeWit: I guess I have to work more. Steven Butala: I guess the telephone state tax rate is 13%, I guess I’ll pay it. Steven Butala: The state of California tax rate is 13%, I guess I’ll just pull out the old … take that out my paycheck, that’s okay. That’s just the way it is. Jill DeWit: Well, you know, and it might go up next year. So do you wanna hit me now? Just take it now and hold it. Steven Butala: So, I’ve never been a person like that, and I’m certainly not now. And the older I get the worse it is. The more I look into stuff, like seriously look into stuff. Jill DeWit: Isn’t it amazing? Yeah. So is this still on topic? Steven Butala: Yeah, this is how you eliminate all kinds of problems in your life. Jill DeWit: Do your homework. Steven Butala: Thinking about it, what you’re going into before you get into it and reading up on it and look, all the answers to all the questions in the world are in your pocket right now. Or in your purse, on Google, every single answer. Jill DeWit: Oh, I’m sure that’s in there too. I’m sure there’s videos of it on YouTube right now of extraterrestrial life. That’s hilarious, I like that. Steven Butala: So I could sit and talk about this for hours. And I actually do. Land Academy 2.0, that’s being released later this year and House Academy, the original program will be out before January. So, this is the theme, I’m not trying to sell anything here, we’re not plotting anything. This is our show. I believe in my soul, and we don’t do deals day in and day out unless we remove 99% of the risk. We have a really, really high, believe it or not, threshold for risk. By the time it gets to Jill, we already won. I just need her help to implement it. Jill DeWit: Exactly. That’s very true. There’s no questions, there’s eh, 50, 50, let’s go for it. We never have that conversation. Steven Butala: I’ve never done a real estate deal like that. Jill DeWit: You know what it is, no, you’re right. We are the opposite. Talk about great about this too. We are exactly the opposite, if it doesn’t sit right with one of us, we’re like okay, fine then, I’m pulling it. Steven Butala: We just killed a deal, I wanted to do a deal. Steven Butala: She said, I don’t know. I just said you know what? We don’t need this. Jill DeWit: There’s two. One of them, you’re like I think we can make it work and I said wait a minute. It was the days on market thing. Like didn’t you just tell me the days on market and you did a, “Yeah, you’re right. I actually forgot about that point.” Bro, we’re not pushing it. Steven Butala: Here’s why. We didn’t send mail out on this asset, the seller got a letter and we were purchasing their property and she said, “Oh, by the way, I’ve got this other one.” Which we would never have sent out mail in that market at all. So I should know better. Steven Butala: You were right. Jill DeWit: So maybe that’s another good point to say, so maybe a thing about eliminating risk is trusting your gut instinct. Steven Butala: Yeah, and don’t buy property that’s out of your scope of mail. Jill DeWit: It’s like, you know what? You know what it is? It’s like flying a plane at night. You gotta trust your instruments, like on this, you gotta trust the data. And trust the number, even though you think, “Oh, what I could do with this property and how great I could make it.” Pay up all the numbers and your instruments telling you that you’re actually flying upside down at night, you might be flying upside down at night. That’s a true thing that can happen by the way, seriously. Jill DeWit: That has happened to pilots. ‘Cause it’s over water, it happens over water. You can get the sky and the reflections inverted. Steven Butala: Do you spit? Jill DeWit: No. That would be one, but you trust your instruments. Steven Butala: That’s what you’re supposed to do. Jill DeWit: That’s why they teach you to fly with a hood on when you’re learning to fly and you learn to trust your instruments. Steven Butala: If you get stuck in an avalanche and you’re all in the snow, they tell you to spit to see which way is down. Jill DeWit: Thank you, there you go. Steven Butala: They didn’t teach you that in flight school? Steven Butala: You know what? If I said something like that we’d get like 400 emails like, “That’s awful and sexist and chauvinistic.” But if you say it, it’s like cute and fun. Steven Butala: I’m a girl and we don’t spit. Steven Butala: Well, you’ve done it again. Spent another 15 or 20 minutes or so, actually 20 minutes listening to the Land Academy Show. Join us next time for another interesting episode. 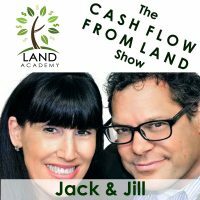 Jill DeWit: And we will always answer your questions posted for free, on our online community found at Landinvestors.com. Jill DeWit: You bring up spitting, that’s hilarious. You have avalanche, where di you have avalanche training? Steven Butala: It wasn’t training, it was just school. I mean ski, I grew up skiing, ’cause I grew up in the Michigan tundra. Jill DeWit: Got it. Last time I checked, in Michigan, there’s not a lot of mountains to ski on. More like hills. Steven Butala: Here’s what happens, I’m glad you bring this up. People in that are of the country grow up skiing because there’s tiny little places to ski, it’s cross country or whatever, but they end up flying to Colorado for the real thing. Or up to Canada, for the colder version of the real thing. So in the end, you get your whistle all wet and then you go to Colorado, go to the Rocky mountains. I skied in Europe a couple times. Colorado is the best place to ski, way better than Europe I think. Jill DeWit: Did you know Michigan does have, and that’s one thing that you do well, that my dad did well too, from Michigan, water skiing. Jill DeWit: I always wanted to be that. I wanted to be able to say one ski, do I start. No, I’m barely two skis, let’s start. And somebody lifting me, that’s barely me. But that’s okay. Steven Butala: My water ski days are long, long gone. Steven Butala: There’s much more interesting, much more costly, ways to get your thrills at this age. And I indulge in them. Jill DeWit: And we’re having fun. If you wanna see what we’re doing right now. Steven Butala: They involve motor oil and two wheels. Jill DeWit: It does. Share the fun by subscribing on ITunes, or whatever you are listening. And while you’re at it, please rate us fair.